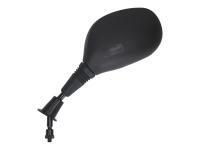 Original design (Kymco style) left-hand rear view mirror with E-certificate. 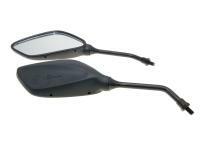 This mirror design is used on most 50cc Kymco and low-cost scooters. A low-cost alternative to an expensive original item. Can also be used on any other scooter with an 8mm thread. 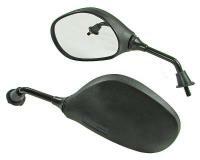 Single left-hand mirror in delivery. 101 Octane are high quality Universal Moped, Scooter, Motorcycle and Quad parts and accessories. 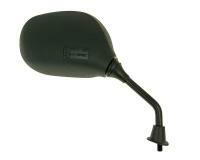 One of our best and a highly recommended brand for replacement accessories. You can buy with confidence for 101 Octane is one of the best parts brands we offer. Racing Planet has the greatest selection of 101 Octane Scooter Parts anywhere!